I always wanted to go to America. The Transatlantic Entrepreneurship Academy gave me the possibility to do so and to experience many things. On the one hand, it broadened my entrepreneurial horizon for disruptive innovations. For this, we “only” had to invent a new world and to think in a completely different way. On the other hand, I did so many things I have not done before. One small and ridiculous sounding example was when I ate Lobster the first time. 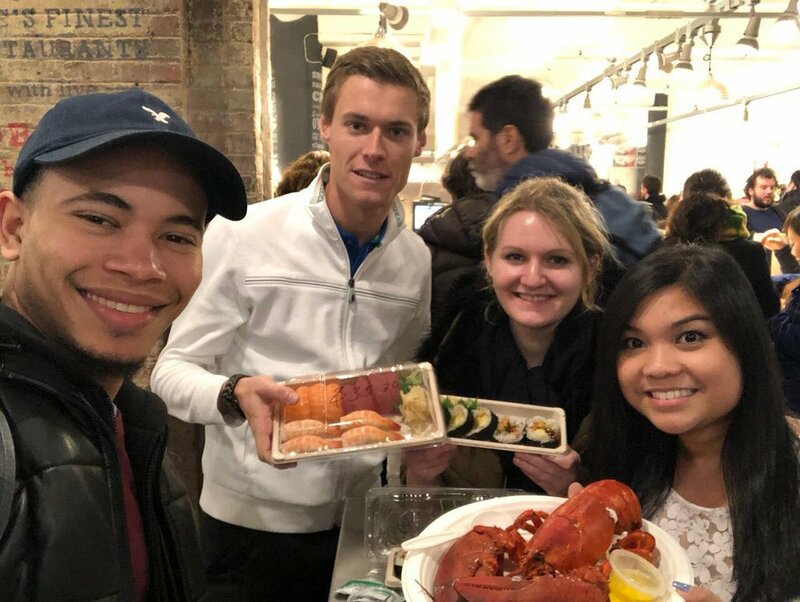 Our team went to Chelsea Market and we wanted to grab some food there. Then we saw this big red Lobster restaurant and decided to share one. Frankly, I was a bit overwhelmed with the situation, but it was so much fun with my team-members to experience how to open and eat it. They knew how to do it and I was impressed by their doing. This was the moment when we got very close with each other, because it was not about the food anymore it was about the experience we had together. I think the TEA is about such things: having fun, doing new things and learning a lot from each other.